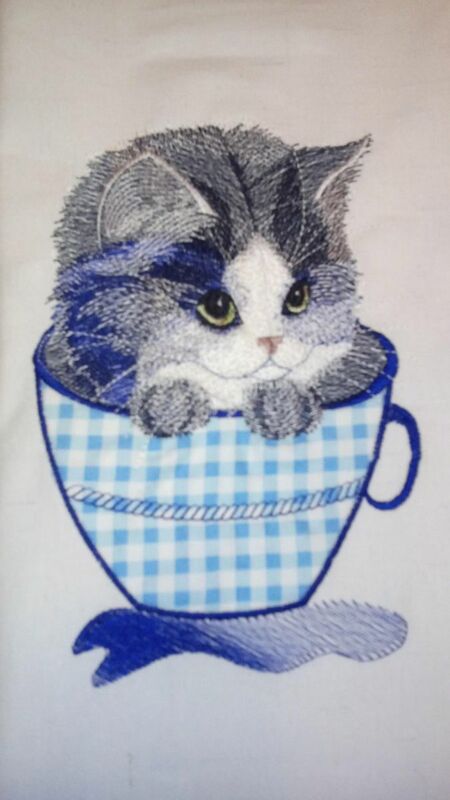 The appliqué is a very popular type of machine embroidery. When using it, you save time and thread. The project turns out easy. This kitten is a good opportunity for beginners to get a new experience. Making an applique is not difficult. Charming design and a nice size. Thank you. 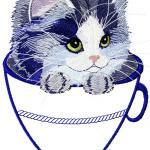 You can embroider a cat with a pillow or a T-shirt. This only depends on the imagination and imagination of the needlewoman. An unusual project for lovers of cute and fluffy.